Part 1: Why do Church History? 8.15 p.m.: Church History 1.2: An introduction to Patristics and the Early Fathers. Church History 1.2: An introduction to Patristics and the Early Fathers. There was a time when Patristics would have been one of the core First Year modules for ordinands in an Anglican theological college. 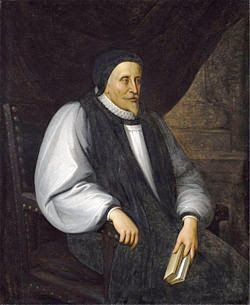 Scholars like Bishop JB Lightfoot (1828-1899) and Bishop Brooke Westcott (1825-1901) placed Patristics at the heart of Anglican theology from the late 19th century on, for many generations. But do not be frightened by this topic, or think it is irrelevant or of merely antiquarian interest. In the Liturgy module in Year II, you will become familiar with the Didache and the Shepherd of Hermas, anonymous works dating from the same period as the Apostolic Fathers, and perhaps with the Apostolic Constitutions, important texts in understanding the Liturgical practices and beliefs of the Early Church. 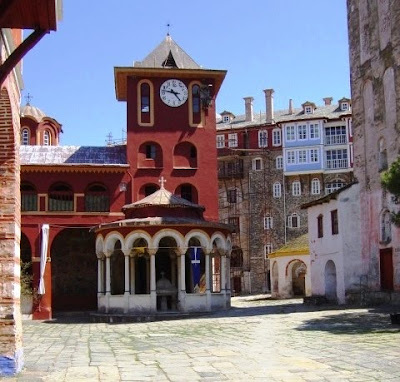 And the teachings of the later Church Fathers are keys to understanding the debates over the Canon of the Bible and the formulation of the Creeds of Nicaea (321), Constantinople (381) and Chalcedon (451). The field of Patristics is that of the Early Christian writers known as the Church Fathers and their writings. The name comes from the Greek πατέρας (pateras) and the Latin pater (father). The period is generally considered to run from the end of the New Testament period or the end of the Apostolic Age (ca 100 AD) to either the Council of Chalcedon in 451 AD, or even to the Second Council of Nicaea in the eighth century (787 AD). Many scholars today would prefer to refer not to Patristics but to Early Christian Studies. But Patristics is more than the study of historical figures and historical writers. It is not merely an exploration in antiquity that has the church as its main field of interest. It is the very study in which we come to understand how the continuity of the Apostolic and the post-Apostolic Church in prayer life, in spirituality, in sacramental life, in trying to hold together our unity as the Body of Christ, and in a spirituality that found its expression too in our Creedal and Trinitarian formulas. The prominent early Church Fathers whose writings form the basis for Patristics include Saint Ignatius of Antioch (ca 35-110), Justin Martyr (ca 100-ca 165), Irenaeus of Lyons (ca 130-ca 200), Clement of Alexandria (ca 150-ca 215), Cyprian of Carthage (died 258), Athanasius of Alexandria (ca 296-ca 373), Gregory of Nazianus (329-389), Basil of Caesarea (ca 330-379), Gregory of Nyssa (ca 330-ca 395), Theodore of Mopsuestia (ca 350-428), Augustine of Hippo (354-430), Vincent of Lérin (died before 450) and Cyril of Alexandria (died 444). 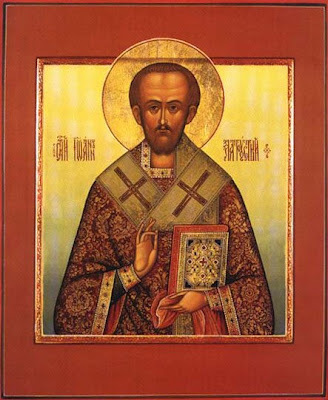 Some of the most prominent Greek Fathers are: Justin Martyr, John Chrysostom and Cyril of Alexander. The Latin Fathers include Cyprian, Jerome, Ambrose of Milan, Gregory the Great and Augustine of Hippo. They lived and wrote across the Mediterranean world, in Constantinople, Alexandria, Antioch, Jerusalem, Rome and the area of north Africa around Carthage, as well as Milan and Jerusalem. The Apostolic Fathers include: Clement of Rome, who was alive around 96 AD; Ignatius of Antioch and Polycarp of Smyrna. – To the Ephesians, 7 (Andrew Louth). “Where the bishop is to be seen, there let all his people be; just as wherever Jesus Christ is present, we have the catholic Church. Nor is it permissible to conduct baptisms or love-feasts [the Eucharist] without the bishop. On the other hand, whatever does have his sanction can be sure of God’s approval too.” – To the Smyrnaeans 8 (Andrew Louth). Polycarp (ca 69-ca 155) was the Bishop of Smyrna (present-day Izmir in western Turkey). 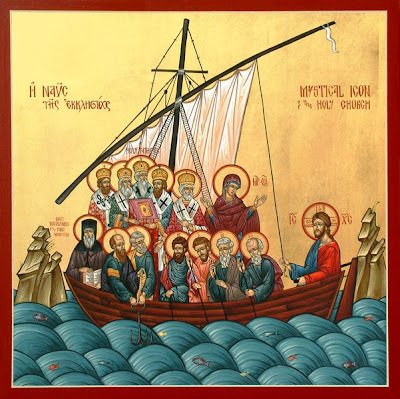 Irenaeus says “Polycarp also was not only instructed by the apostles, and conversed with many who had seen the Lord, but was also appointed bishop by apostles in Asia and in the church in Smyrna.” (Adversus haereses, 3.3.4). According to the early Church historian, Eusebius, Irenaeus says that as a boy he had listened to accounts by Polycarp of his friendships with “John and with the others who had seen the Lord.” Polycarp died as a martyr in Smyrna in 155 AD. 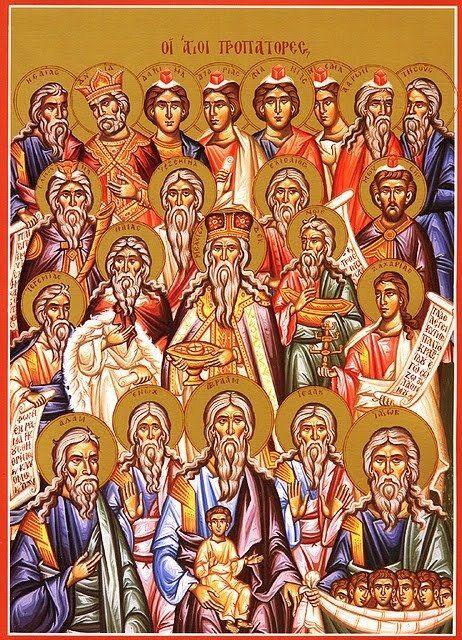 The Apostolic Fathers were followed by the Greek Fathers, including: Irenaeus of Lyons, Clement of Alexandria, Athanasius of Alexandria, John Chrysostom, Cyril of Alexandria, the Cappdocian Fathers (Basil of Caesarea, Gregory Nazianzus, Peter of Sebeste and Gregory of Nyssa), Maximus the Confessor and John of Damascus. Saint Irenaeus, who was a disciple of Saint Polycarp, wrote that the only way for Christians to retain unity is to humbly accept one doctrinal authority – episcopal councils, and he proposed that Matthew, Mark, Luke and John should all be accepted as canonical Gospels. Among the Latin Fathers of the Church were Saint Cyprian of Carthage, Saint Hilary of Poitiers, Saint Ambrose of Milan, Saint Jerome, Saint Augustine of Hippo and Saint Gregory the Great. A small number of Church Fathers wrote in other languages: Saint Ephrem the Syrian and Saint Isaac the Syrian, for example, wrote in Syriac, although their works were widely translated into Latin and Greek; others wrote in Ethiopic. Benedicta Ward, The Destert Fathers, Sayings of the Early Christian Monks (London: Penguin, 2003). “Where the bishop is to be seen, there let all his people be; just as wherever Jesus Christ is present, we have the catholic Church. Nor is it permissible to conduct baptisms or love-feasts [the Eucharist] without the bishop. On the other hand, whatever does have his sanction can be sure of God’s approval too.” – Ignatius, To the Smyrnaeans 8 (Andrew Louth). 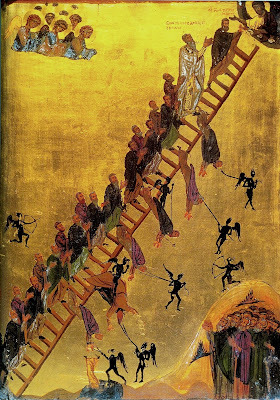 “The bread which you do not use is the bread of the hungry; the garment hanging in your wardrobe is the garment of him who is naked; the shoes that you do not wear are the shoes of the one who is barefoot; the money that you keep locked away is the money of the poor; the acts of charity that you do not perform are so many injustices that you commit.” – Saint Basil the Great. Church History 2.2: Challenging myths and memories (2): the Crusades. (Revd Canon Professor) Patrick Comerford is Lecturer in Anglicanism, Liturgy and Church History, the Church of Ireland Theological Institute. This essay is based on notes prepared for a lecture on Friday 6 February 2015 with Year I-IV students in the Church History elective on the MTh course.